It was a perfect June evening, the air crisp and clean in the 70-degree sunlight. A crowd of about a hundred Germantown people were gathered along the rise in front of the new Gehl’s Performing Arts Pavilion next to the Senior Center in Firemen’s Park. They were listening to Germantown’s own Adult Wind Ensemble led by director Jim Barnes. Barnes noted to the crowd how exciting it was to be performing for them in their new music pavilion. The sound of the band carried perfectly across the park, evidencing the perfect acoustic quality emanating from the pavilion. For the members of the Germantown Kiwanis Club who watched the performance it was a very satisfying feeling. 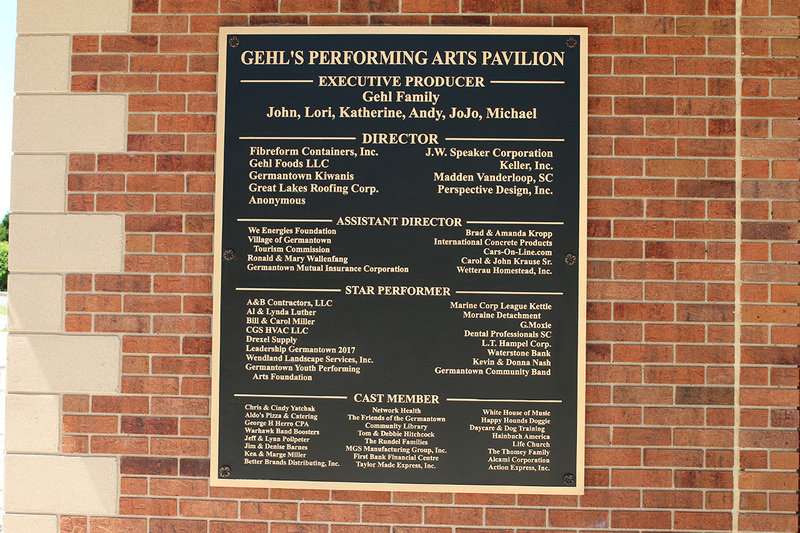 After eight years of effort, the Gehl’s Performing Arts Pavilion was a reality. And tonight the effort seemed well worth it. 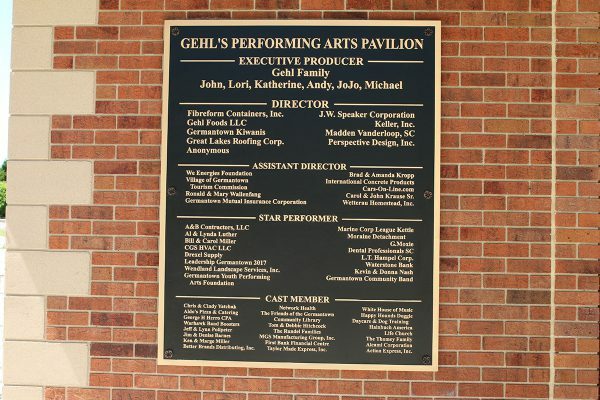 A dedication ceremony to unveil the Gehl’s Performing Arts Pavilion will be held on June 20, 2018 in Firemen’s Park. 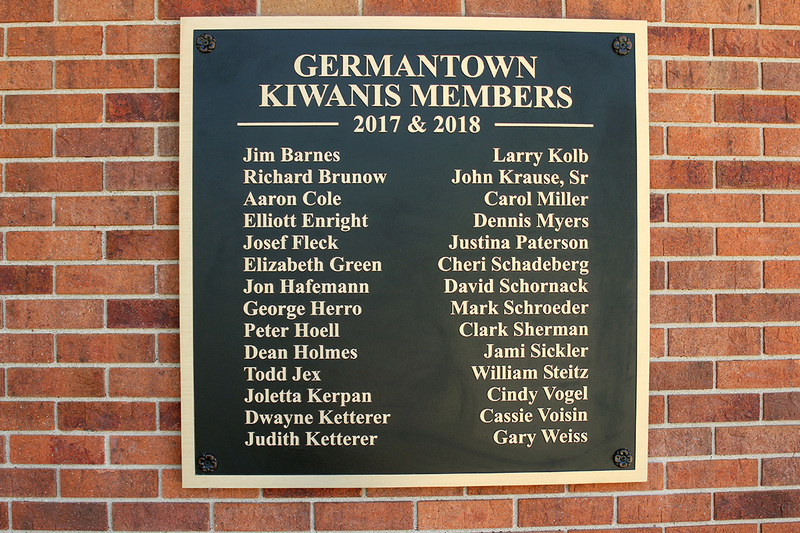 The announcement was made by Germantown Kiwanis Club, the service organization which spearheaded the design and funding of the pavillion. The ribbon cutting ceremony will start at 5:30 PM. 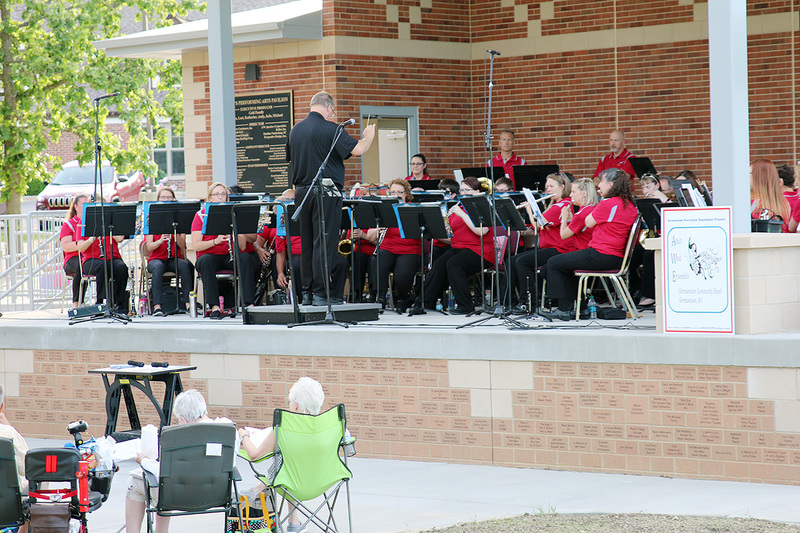 After the dedication ceremony, the Germantown Community Band will perform its first concert in the park at 7 PM. A full schedule of concerts in the park by Germantown groups has been published below. 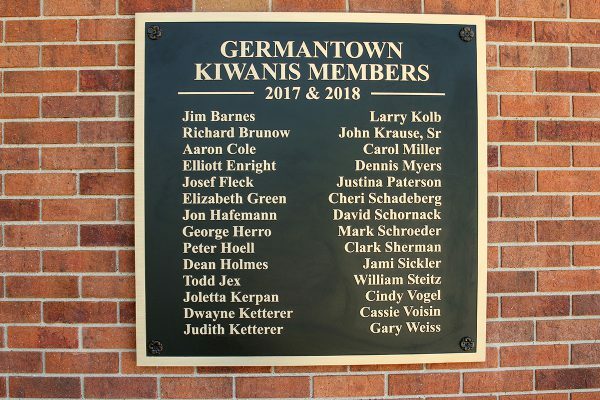 Later in July, the Kiwanis Club will be turning over the pavillion to the Village of Germantown at a special key presentation during Kiwanis signature event called A Taste of Germantown. A Taste of Germantown is a “Party in the Park” for the whole village. Food, entertainment and children’s activities will be enjoyed by all. All Germantown residents are invited to attend. The June 20 dedication will be the first opportunity for many Germantown citizens to see the pavilion and note the sponsorship plaques which have been mounted on the pavilion walls. 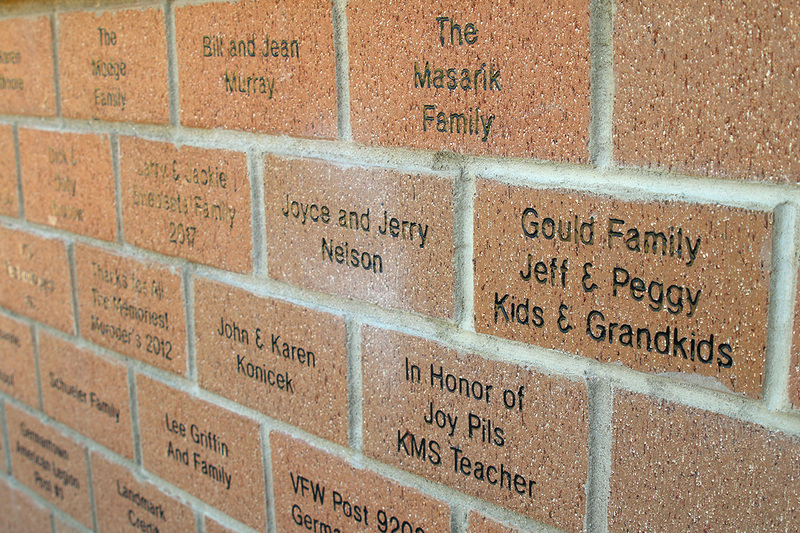 Even more interesting are the sponsorship “bricks” which were purchased by area citizens which are now prominent along the foot walls of the pavilion stage. 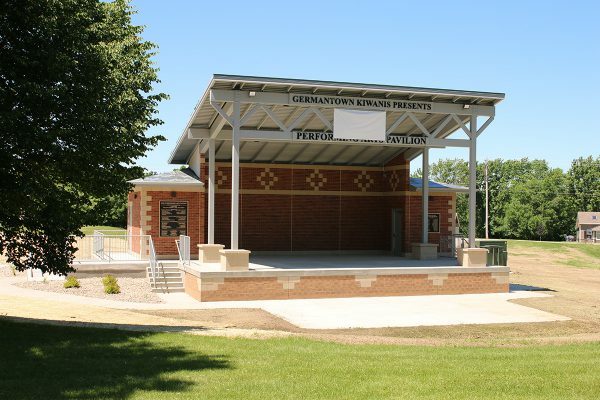 The Gehl’s Performing Arts Pavilion is located next to the Germantown Senior Center in Firemen’s Park.